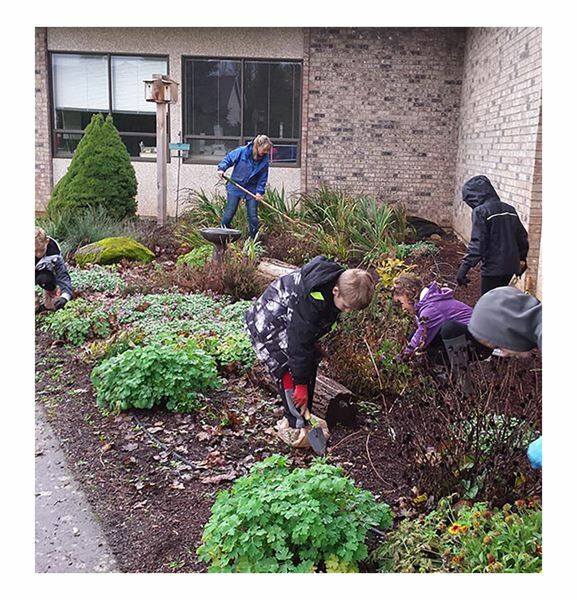 Students at John McLoughlin Elementary created a school garden that improves habitat for birds, butterflies, frogs and other wildlife. This year it was designated a Certified Wildlife Habitat by the National Wildlife Federation and the Association of Northwest Steelheaders. "Our garden provides all the things animals need: natural food sources, clean water, cover and places to raise young," Principal Candice Henkin said. "This project was a great learning experience for our students that will continue throughout this new school year." "This Certified Wildlife Habitat is now also part of the Million Pollinator Garden Challenge, a national effort to create a million gardens that provide habitat for declining pollinator insects, like butterflies and bees," said NWF naturalist David Mizejewski.